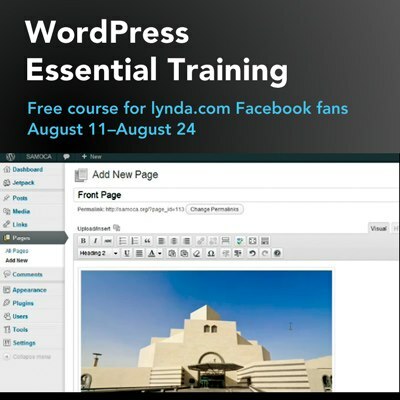 Want to get my WordPress: Essential Training course for free? Look no further. Between August 11 and 24 you can get the entire course for free by liking lynda.com on Facebook. Doesn’t get any easier than that. lynda.com has ongoing promotions like this, so liking them is always a good idea.